Bluedriver OBD2 Scanner can read and clear trouble codes and perform heated catalyst, component and sensor tests among others. It is both iPhone and Android compatible and works using the Bluetooth technology. 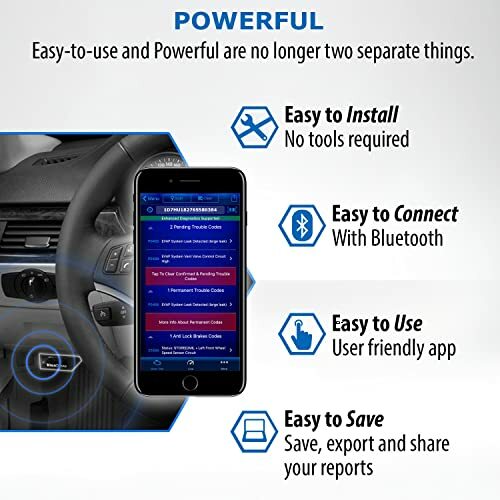 With Bluedriver Bluetooth Professional OBDII Scan Tool, you can read ABS, transmission and airbag codes for a few models including GM, Ford, Toyota, Chrysler, VW, Nissan, BMW, and Honda (2003+). 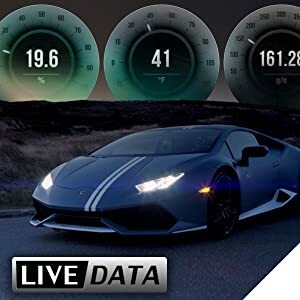 This Bluetooth OBD2 scanner displays live data which helps point out problems quickly and accurately, which not only saves time but also hundreds of dollars that you’ll have to pay to the mechanic. Bluedriver OBD2 Scan Tool is one of the best Bluetooth Scanners in the market. Bluedriver OBD2 scanner weighs only 2.4 ounces and has a dimension of 2.2 x 1.9 x 1 inch. These physical characteristics make it super light and easy to handle. It offers many functionalities and is quick at diagnosing issues. You won’t need to wait for a lot of time to see the test results. The scanner shows results right there and then. 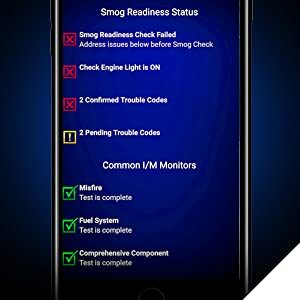 You can also manage maintenance schedules, fuel pressure, RPMs, technical bulletin services, specifications and more from your phone. The scanner makes it very easy to read and understand data thanks to customization options. You can choose to view data in a graphical form and even customize the dashboard. In addition to this, the scanner lets you go to a mechanic with your issues thanks to the ability of logs that you can export to a computer. Bluedriver shows each data source as a Graph, Gauge, or Digital Display. With Bluedriver Bluetooth Professional OBDII scan tool for iPhone and Android, you can read ABS and SRS codes. It is common for cars to have issues with the wheel sensor, speed sensor, airbag system, etc. This can put you at several risks which is why it is important to find a solution. ABS is meant to maintain traction of the tires on a road while airbag system is associated with airbag deployment. Issues with these problems can lead to dire consequences when on the road. Bluedriver offers smog check that determine if your vehicle is ready for an emissions test. Blue Driver not only reads codes but also helps you solve them. Moreover, you can also check for ABS misfire counts and voltage related codes as the scanner supports mode 6. Many basic features are also offered by this scanner such as CEL, MIL, smog test, freeze frame, check engine oil temperature, read and erase basic engine trouble codes. It can read and clear pending, permanent and manufacturer specific codes. and finally, you have access to the live data. There was a time when one had no option but to use corded tools. While they offer great features, they do have some major downsides, especially the trouble of having to deal with wires that make it difficult to handle the scanner. Bluedriver OBD2 scanner, however, is wireless and works quick as well thanks to the Bluetooth technology. Moreover, it comes with its own app called Bluedriver app which is free to download. This OBD2 scanner is easy-to-use and Powerful that are no longer two seprate things. Once you plug in the scanner into the obd2 port and install the app on your phone, you can pair the scanner with your phone and use it. Note: It might take a bit longer to connect when you are pairing the phone with the scanner for the first time. Another highlight of the blue driver obd2 scanner is its ability to offer an extensive definition of trouble codes. This is a great benefit as it offers you ease of use. You do not have to go to Google to look for details of a code. The scanner provides you reliable fixes out of its library of 30 million fixes. The scanner will tell you where and what the problem is. Technology improves at a rapid pace and BlueDriver is always among the first to come with updates. A good thing about this tool is that all these updates are available for free to all users. You can update it for free from Google Play Store. The process is simple and requires little time. 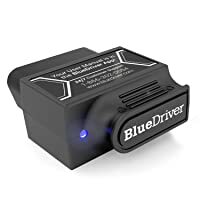 Bluedriver OBD2 scanner is compatible with all 1996 and newer vehicles that are obd2 supported. Moreover, it supports all the major protocols as well. 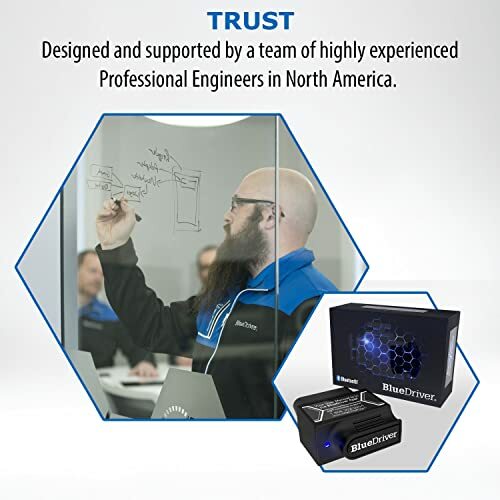 Bluedriver is trusted by mechanics and developed by Professional Engineers in North America. Bluedriver app automatically pairs with iPhones. Sends alerts to the phone along with codes. Enhanced diagnostics (ABS/SRS code reading) in a few vehicles (GM, Ford, Chrysler, BMW, Nissan etc). Does not work well when paired with laptops. Doesn’t display crank sensor data. Does not work for diesel cars. Bottom Line Bluedriver is a great pick for car Enthusiasts and DIYers. 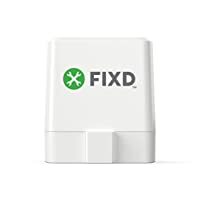 FIXD is suitable for hands-on drivers It is ideal for DIYers and car owners who are iOS, Android, and/or Windows users. 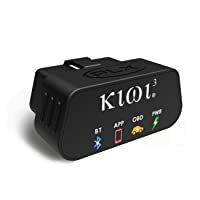 Car owners and DIYers who want to diagnose their cars on their own should get this obd2 scanner as it’s easy to use and comes with a free app. The device is cordless and works without a battery. It is a convenient tool that will save you many dollars. Android users can update Bluedriver app by visiting Google Play Store and choosing to update the app from it. In case you have an iPhone or an iPad, visit itunes app store to update the driver. Updates are free and only a WiFi connection is needed. What apps work with BlueDriver? Can it work with third-party apps? Bluedriver only supports its own app and does not work with other apps. What car models can Bluedriver support to read ABS, SRS, Transmission? It offers ABS, transmission and airbag codes for a few models only. These include GM, Ford, Toyota, Chrysler, VW, Nissan, BMW and Honda (2003+). Is Bluedriver a bidirectional scan tool? No, it’s not a bidirectional scan tool. Does Bluedriver work with diesel vehicles? No, it doesn’t work with diesel vehicles. Are There Any Connectivity Issues? iPhone users might face a few problems if the software is not updated.